N. PHOENIX – “Pretty as a picture” is a fitting description for the incomparable splendor of the Sonoran Desert. It’s a landscape that has inspired explorers and artists since it’s discovery. Desert Foothills Land Trust has played an integral role in protecting the natural beauty of hundreds of acres of pristine Sonoran Desert in the foothills north of Phoenix. Their work also provides a chance for everyone from hikers, mountain bikers, naturalists and artists to experience these lands just as the first inhabitants did. Annually the Land Trust holds the It’s Art for Land’s Sake exhibition and sale as a way to celebrate local land conservation and the community’s rich artistic culture. 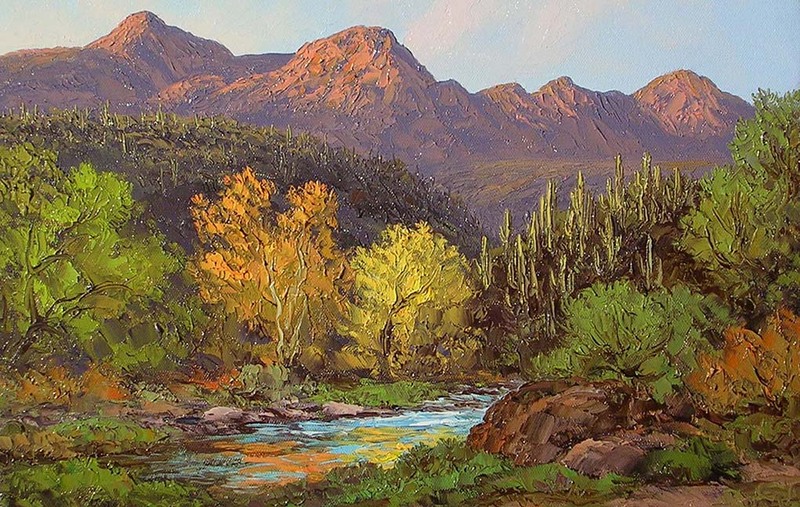 The Land Trust is soliciting works from artists in an effort to connect people to these special places that have been forever protected and to cultivate an appreciation for the creativity and talent of local artists. 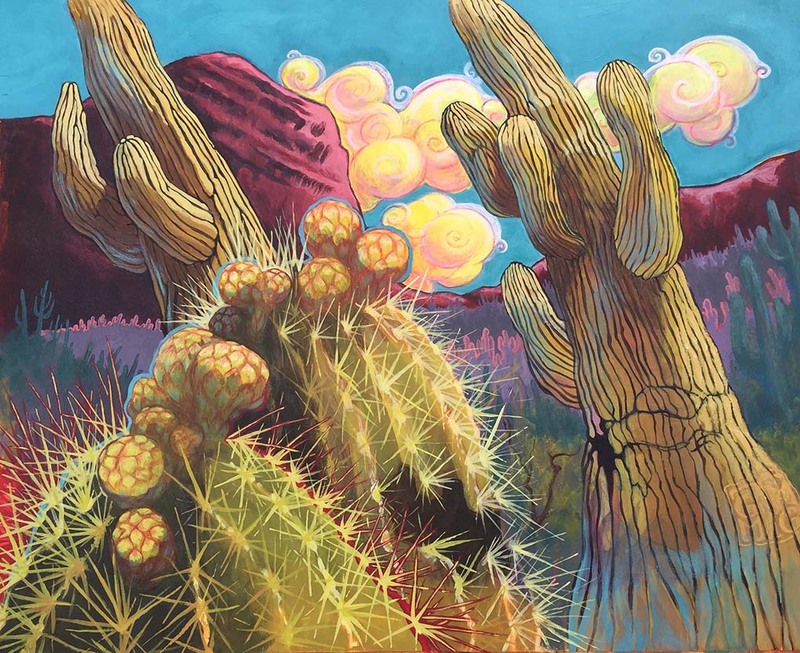 Desert Foothills Land Trust is excited to announce that the fourth annual It’s Art for Land’s Sake exhibit and sale, featuring juried entries and finalists, will be hosted by the Sonoran Arts League at their new Center for the Arts in Stagecoach Village. The Center for the Arts is located at 7100 E. Cave Creek Road, Suite 144, Cave Creek, Arizona 85331. The exhibit will be open to the public from March 16 – 22, 2018. There is a $25 entry fee for each piece entered. All artists are welcome to enter. The Juror for the 2018 exhibit will be Tim Rees, a renowned and award winning artist and instructor at the Scottsdale Artists’ School and The Academy at Rees Atelier. Mr. Rees will select the pieces to be exhibited. To qualify each entry must be 2-D and represent the landscape, plants and/or animals distinctive to a Desert Foothills Land Trust preserve. Entry forms, rules and guidelines can be found on the It’s Art for Land’s Sake page of the Land Trust website at www.dflt.org. Entries must be received before 4:00 pm on February 19, 2018 to be juried. A portion of the sales will benefit the Desert Foothills Land Trust and Sonoran Arts League. Desert Foothills Land Trust works with landowners, communities and partners to protect some of the most special and important natural areas in the foothills of northern Phoenix. The Land Trust has permanently protected nearly 700 acres on 24 preserves, many of which are open to the public for exploration and passive recreation. Desert Foothills Land Trust is accredited by the national Land Trust Accreditation Commission – a mark of distinction in the land trust community. More information is available at www.dflt.org or 480-488-6131.